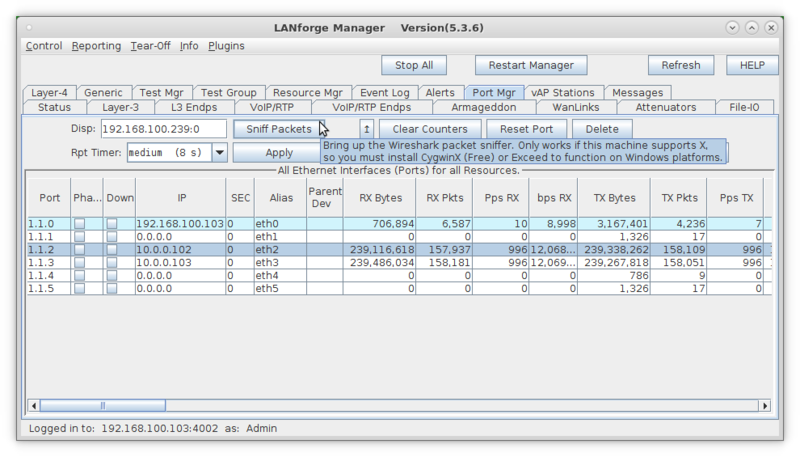 Goal: Set up and run traffic containing random MAC addresses using the LANforge Armageddon feature. 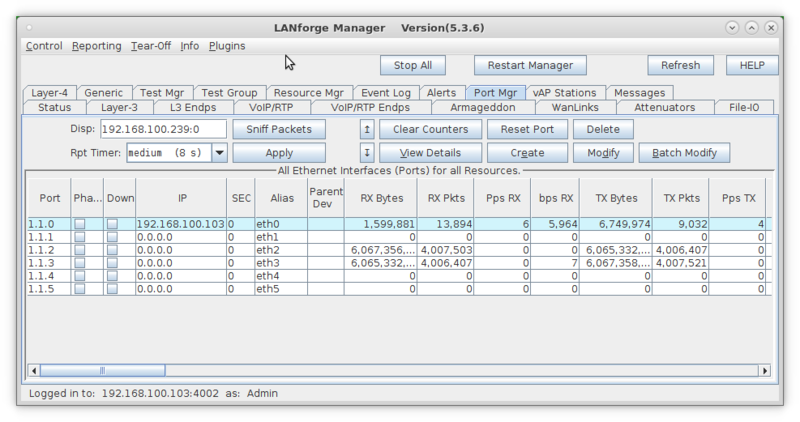 In this test scenario, LANforge Armageddon is set up to run with random MAC addresses. 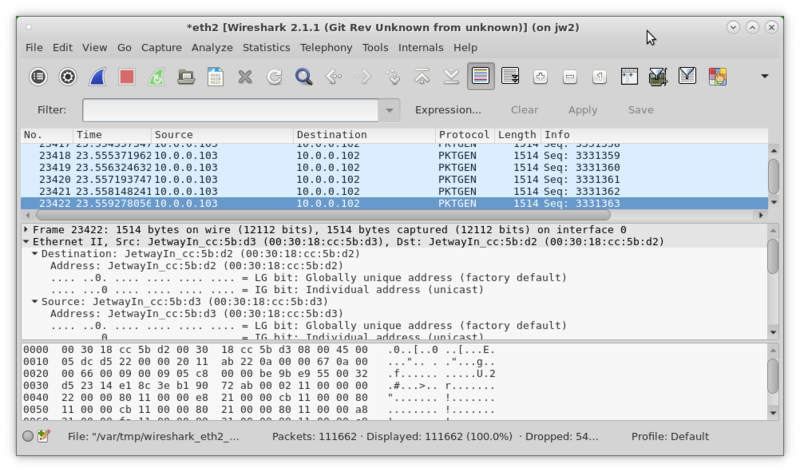 This is useful when performance/stress testing network devices that may not be able to keep up with high-speed traffic containing rapidly changing MAC addresses. 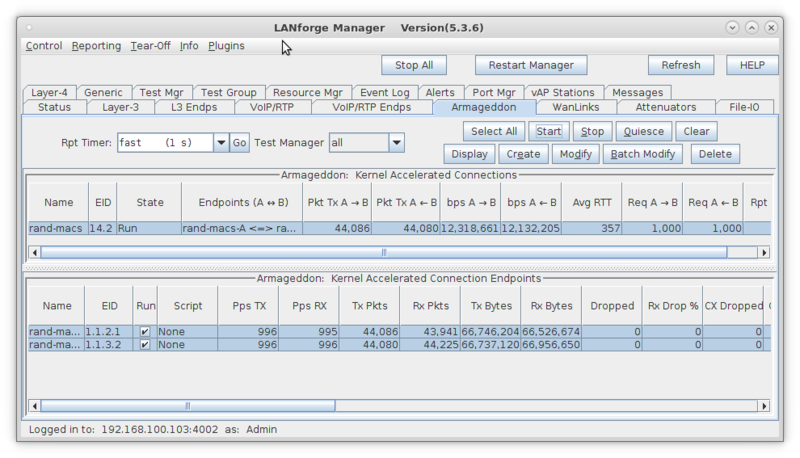 Note: In order to use the LANforge Armageddon feature, your system must have the LANforge kernel patch applied and your system must be properly licensed. 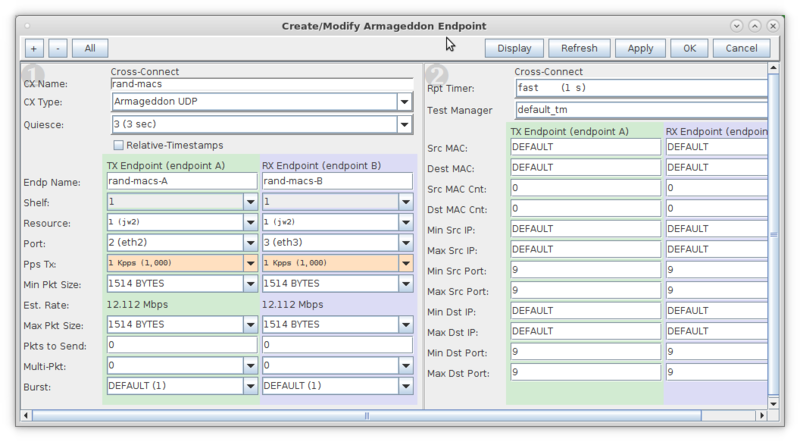 Please feel free to contact us at support@candelatech.com if you would like to obtain a demo license for the Armageddon feature. 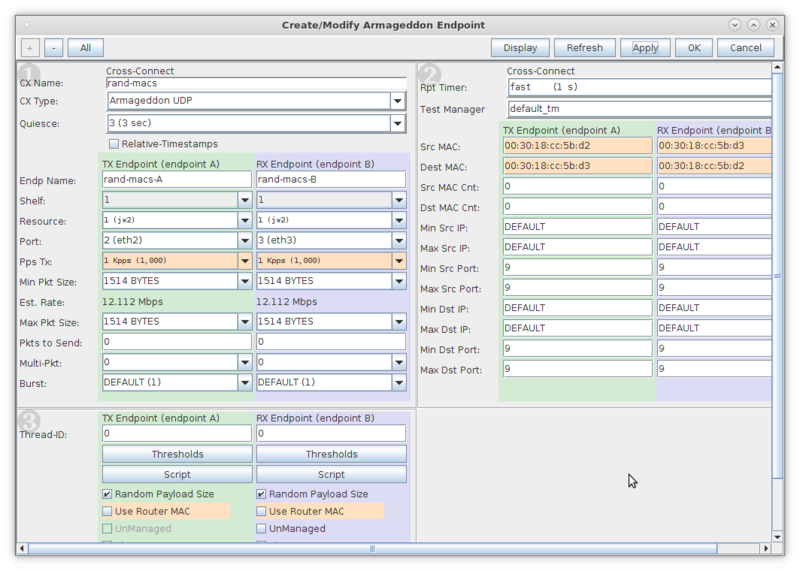 Enter values for the Source and Destination MAC addresses, specify a MAC count, and deselect Use Router MAC for both endpoints. 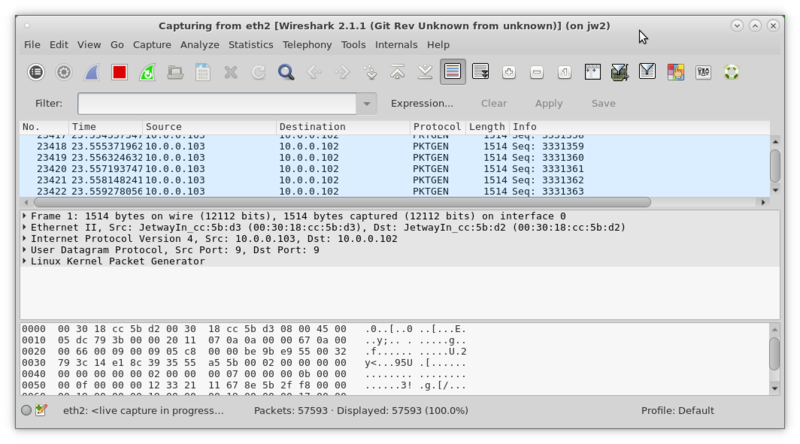 Run the Armageddon cross-connect and verify results with Wireshark. 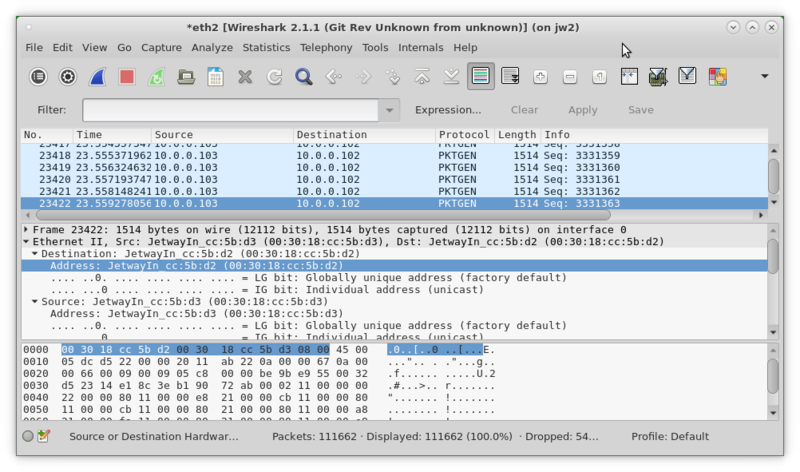 Click Sniff Packets to launch Wireshark and begin sniffing traffic.